Your eyes are often the first item most people notice about you. This is why, if you wear eyeglasses, you should use a pair that complements not only your face, but your eyes and personality as well. Many prefer using contact lenses to help them see clearly. Not only do contact lenses provide you with better vision, but they are also convenient and easy to use. They are also a good option if you want to highlight your eyes. The cornea is the clear structure covering the outer part of your eye. It’s normally shaped like a ball or a dome. However, structural problems may cause it to bulge outward and form into a cone – a condition known as keratoconus. Comprehensive eye exams allow you and your family to learn about the current state of your or their eyes and vision. These also help you obtain the right and necessary treatments after getting diagnosed with an eyesight-related condition. It’s common knowledge that certain bad habits, such as excessive exposure to blue light from gadget screens, contribute to poor eye health. However, not many are aware that smoking cigarettes can also be a factor. Lighting up might not only damage your lungs; it might also necessitate frequent visits to an eye care center. Certain eyeglasses look good on the rack, but somehow lose their appeal once worn. If this has ever happened to you, we feel your pain. So, here’s a guide from Guilford Eye Center explaining how your face shape and skin tone play an essential part in choosing the best eyeglass style for you. As you reach your 40s, you may start noticing changes in your body. Climbing a flight of stairs or carrying a box full of stuff may not be as easy as it looks. Your eyesight may not also be as sharp as it once was. Why Choose Maui Jim® Eyewear? Many vision problems occur during adulthood. While eyesight changes are part of aging, there are things you can do to maintain your visual health even in your golden years. Guilford Eye Center, your trusted provider of eyeglasses and other eye care services, suggests four ways to keep your eyes in good health. Glaucoma is an eye condition that’s marked by a high intraocular pressure (IOP) that may lead to optic nerve damage. Without immediate treatment, it may cause permanent loss of vision. Guilford Eye Center, your trusted provider of contact lenses and other eye care services, discusses some important facts you should know about this disease. When your body doesn’t produce enough insulin, or it can’t respond properly to this hormone, you may develop diabetes. This causes sugars to stay in your bloodstream, and that may lead to various organ complications, such as diabetic retinopathy. Your retina has a small spot near its center, referred to as the macula, that helps you see the objects in front of you. 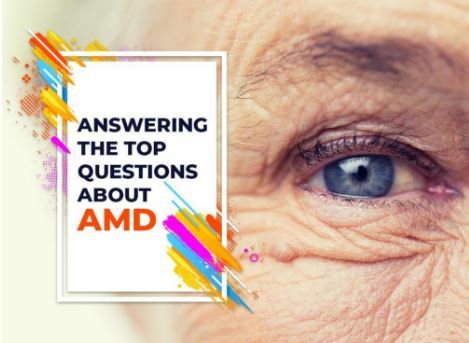 Over time, it may become damaged, causing it to gradually lose its functions, resulting in a condition known as age-related macular degeneration (AMD). 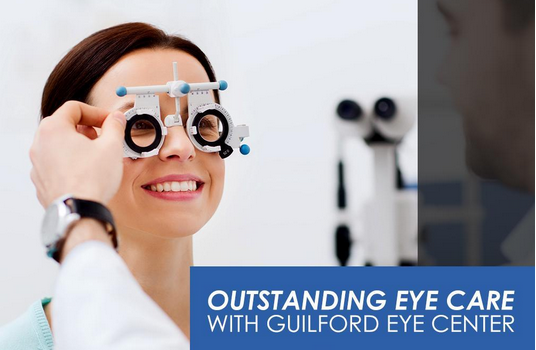 At Guilford Eye Center, we are passionate about helping you achieve better eyesight through high-quality eye care. Apart from contact lenses and eyeglasses, we also provide LASIK eye surgery screenings. This can help us determine if you’re a good candidate for this procedure. Your eyes perform the important function of giving you the sense of sight. This is why it’s essential to take good care of them. One great way to start is to understand how they work. Let your trusted eye doctor at Guilford Eye Center discuss your visual system in detail. Myopia, also known as nearsightedness, is the most common refractive error, increasing its prevalence over the years. It may cause difficulties seeing things from afar, reducing your daily efficiency. Let your trusted eye doctor from Guilford Eye Center talk about this problem in detail.